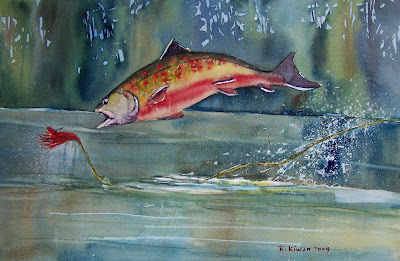 I enjoy fishing for those brook trouts in the spring. I think I did a good job with this one. I might try another one later! Finally got out to paint! !